Redemptorist missionary, Rev. Thomas Gregory Maceda, remembered as a cantor-priest who was always available and always on time, died March 13, 2012 surrounded by the confreres in his religious community who were praying the rosary for him at St. John Neumann Residence, Stella Maris in Timonium, MD. He was 74. Father Maceda was born on June 1, 1937 in Brooklyn, NY. 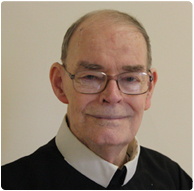 He professed his first vows as a Redemptorist on August 2, 1958. He was ordained a priest on June 23, 1963. He began his missionary career by learning Spanish and serving for eight years in Caguas and Guayama, Puerto Rico; Las Matas de Farfán in the Dominican Republic; and also in Frederiksted in the Virgin Islands. In 1972 Father Maceda was transferred to North East, PA and for the next twelve years he served as a history professor in the same St. Mary’s High School Seminary where he himself had been educated as a seminarian. In 1984 he was appointed for four years as the pastor of Presentation Parish in Port Ewen, NY. Next he served for five years as an assistant administrator in Manhattan in the parishes of Most Holy Redeemer and St. Cecilia, and finally for more than eighteen years in his home parish, the Basilica of Our Lady of Perpetual Help in Brooklyn, as a dedicated and reliable associate. His younger confreres mirror this remembrance of him as well. “He always enjoyed lingering after meals,” recalls Rev. Frank Mulvaney, “and talking about any subject from the theology of the Eucharist to the themes of old black-and-white movies. He looked forward to the annual Thanksgiving Day gatherings at OLPH when confreres from neighboring parishes joined our community celebration. This gave him an opportunity to use his keen intellect and probing mind to create a host of trivia games and quizzes which everyone enjoyed.